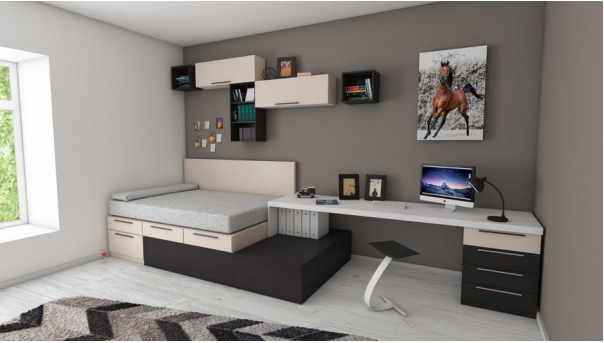 If you are not blessed with acres of space in your home, you will no doubt be looking to store things in the most effective and accessible ways possible. Don't Waste Your Child's Inheritance! Make These Changes Now! Nobody wants to spend too much time thinking about what will happen to their children when they finally leave this mortal coil. However, that is something older parents will have to consider at some point. Everyone wants to leave as much money as possible for their loved ones, and so it’s essential not to waste that capital before the time comes. The changes mentioned below should help parents to leave the most substantial inheritance possible. The infographic published below this post highlights that 25% of UK people waste a fortune on takeaways during their lifetimes. Sure, everyone loves to eat Chinese or Indian food, but buying a meal for the entire family every week will make a massive dent in finances. With potty training in full swing at the moment, I am trying everything to help J on his way. It's hard sometimes to explain to a little one, how they're supposed to go on the potty when they need a wee and so, finding a toy that helps is a big plus. Fisher-Price never disappoint when it comes to educational toys and have brought out the fabulous Toilet Train Bing to help Little Bingsters with their toilet training. This soft and cuddly Bing is the perfect playmate for any child, and as a reminder to go potty, every now and then during play, Bing will call out - it’s time to stop the game for the toilet train - as he lets little ones know when he needs to go. 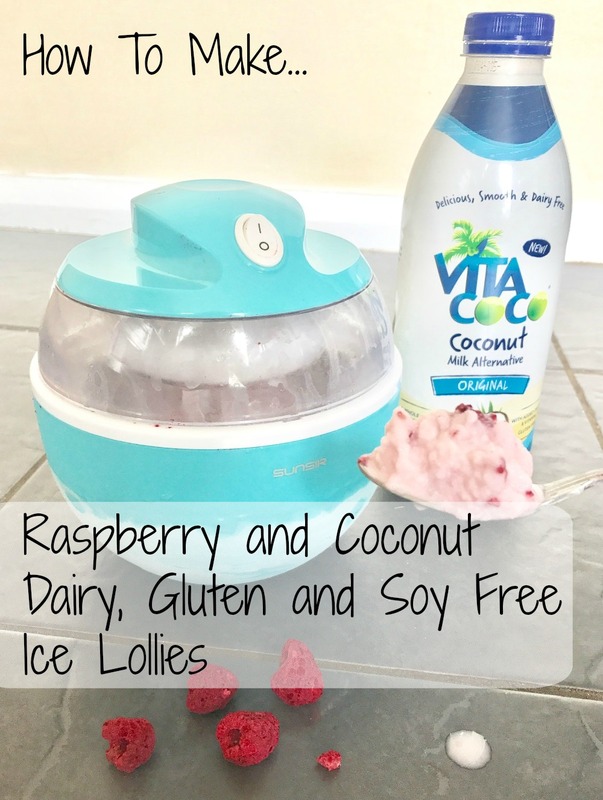 As someone who spends a lot of time shopping online, I do love to find a good competition, and when I saw that Rattan Direct had an amazing one going at the moment, I couldn't help but share! The Rattan In The Bloom competition is so simple and it involves participants sending in a photo of their gardens. That's it! That's pretty simple don't you think! As someone that loves food, it can be hard to lose weight. I went through a period of always grazing and always wanting to eat and that contributed to me being over-weight. And so, I turned to finding a way to keep my appetite at bay whilst also eating better at the same time. That's when I came across FatBlaster. 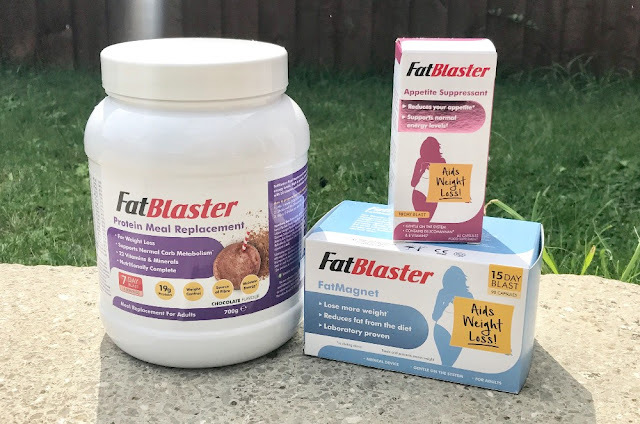 FatBlaster is the number 1 weight loss brand in Australia and it's now arrived in the UK. Helping thousands of people around the world lose weight through the fundamental learnings of safe, healthy and effective weight loss. 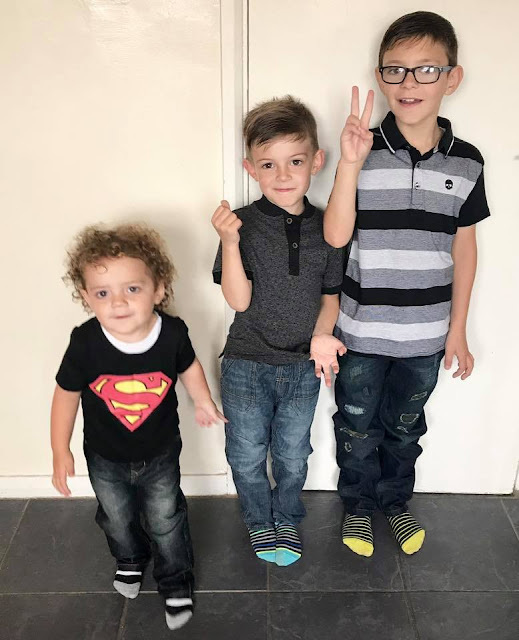 It's not often we get to go out as a family as my husband works nights and the kids are at school during the day so it's a bit hit and miss as to when we have free time. Now the school holidays have hit, we took advantage of having some free days and opted to have a family date. 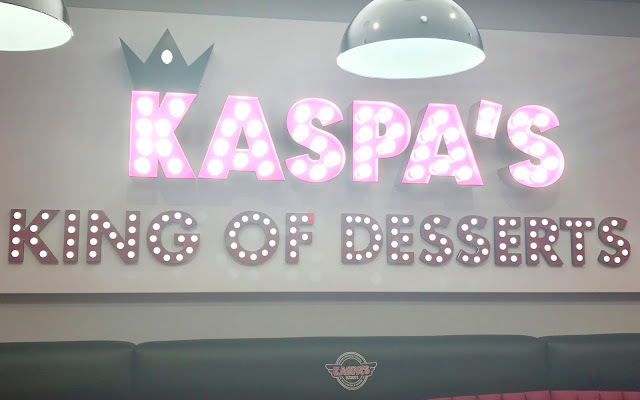 We chose none other than Kaspa's to dine at. Well, I say dine at but Kaspa's is actually a dessert house that offer the world’s favourite hot and cold desserts under one roof. And I mean, who doesn't like dessert for dinner sometimes?! Having a house with three children, there's times when things need fixing and so, out comes my tool box and I search until I find a tool that looks like it'll do the job. It's the same with decorating, new furniture and doing up the house, we need tools to get everyone up and looking nice. So, I decided to have a look around and stock up on all those tools that I might need when one of these situation arises. FFX offer a huge range of all those tools that you might ever need and so I started looking so I could fill up my ever growing tool box. Okay, everyone has their favourite hobby, be that watching or playing football, gymnastics, writing, whatever. But I've found that mine started out as something and nothing and became my favourite hobby over night. And usually when I tell people that I get the groan of how no one wins those things and they're just a con. But I'm here to tell you that it's not true at all and that everyone should give it a go. When it comes to buying a car, there are many factors that can make it the perfect car for you. Things like fuel consumption, size, mechanical workings and issues are obvious, but once you have children, there is an even longer list to make sure it's a car that will fit your needs. As a family of 5, it can be hard for us. Even though most cars are 5 seater, they don't actually cater for 3 children in the back whom will all need some sort of car seat. If you've ever tried to fit three next to each other then you'll know it's a chore. So it's important, when you go to buy a car, that you take the measurements with you. Even better if you can take your actual car seats as then you can see how they fit together in the back. A lot of us believe that the dining room in a home deserves to have a special place in our heart. It’s where important discussions are held, milestones are celebrated, and where you eat every night to be together as a family. Giving it a makeover to suit your family is a great way to incorporate it into these memories and to turn it into a safe space. Below are a few ideas that have been in mind recently. Feel free to give them a try to give your home a better feel. Moving home is an exciting adventure. You’re starting a brand new chapter of your life and your family’s lives. Still, it can also be a highly stressful time as there are so many different things to sort out before you can say you’ve successfully moved out of one home and into another. Here are some tips to help you easily master the art of moving home. With the height of summer upon us, now is the time for changes that make using your garden for the coming weeks a delight for you, family and friends. Of the all the garden furniture on offer, the humble wooden garden bench is often left to slowly rot in the corner of the garden. But the garden bench is worth so much more. Now, many people will start a blog online and think it's easy. Okay, you're reading this and it might all look fairly easy to do. You just open a blog and start writing, right? Wrong. 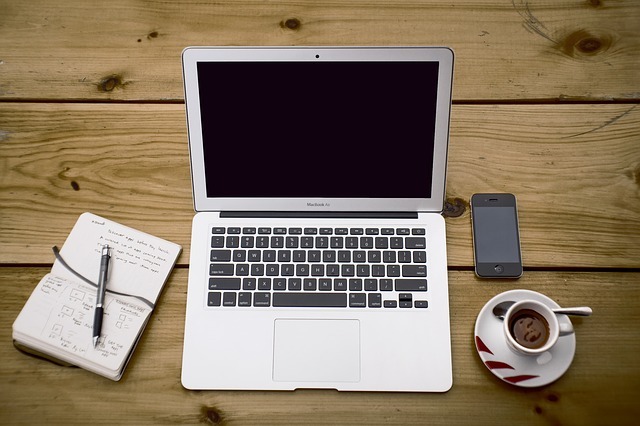 Writing a blog takes time, finding work through your blog is even harder. As a parent I love nothing more than a good bargain. I'm the type of person that looks online to try and find the best deal for anything and everything. And to be honest most of the time this works out because I find that certain brands are a higher price but don't actually offer anything better. Which is why I love Aldi. Aldi offer a huge range of products and items that I use every day, but at amazing prices. And this week sees the return of their Aldi Baby & Toddler Event which means all of parents get to stock up with amazing savings. The fantastic range will be going online from the 10th August and in stores across the UK from the 17th August. We all know what it's like during the school holidays - the first week or so are okay, and then the kids get bored. And us parents are at a loss at what to do. I mean, you can take them on days out and to all these places that seem to be advertised on Facebook, but we all know just how expensive they can be. Even worse if you have multiple children to pay for. It's like, you need a whole weeks pay just to go to some soft play places. And don't even start talking to me about eating out at these places - bank loan here I come! 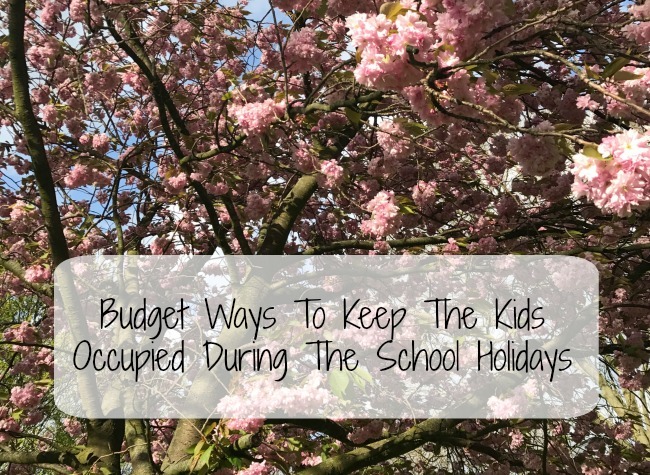 So, I thought I'd write about ways to keep the kids busy during the holidays that are cheap, or free, and not only are they fun but they are a great way to bond with your kids too. We all know that once you become a parent, normal life goes out the window. No longer do you have time to do all those little things that you always thought were irrelevant. I mean, most of the time I can't go to the toilet in peace let alone have a bath without one of the sprogs jumping in with me. As life changes, all focus becomes our children, and we go out of the window. It's like we no longer matter, and that shouldn't be. We shouldn't just be okay with that. Yes, I am a mum, but I'm also a person too. If you focus all of yourself on your children then you will just burn out. It will all become too much. As someone who has taken to exercise a lot recently, I'm always trying to look for ways that I can exercise whilst out and about without looking like that randomer in Asda doing curls with a tin of beans. It's hard though when you have little ones as going for a run whilst you have a stroller to push can be hard work, and swivel wheels do nothing for getting a good pace. 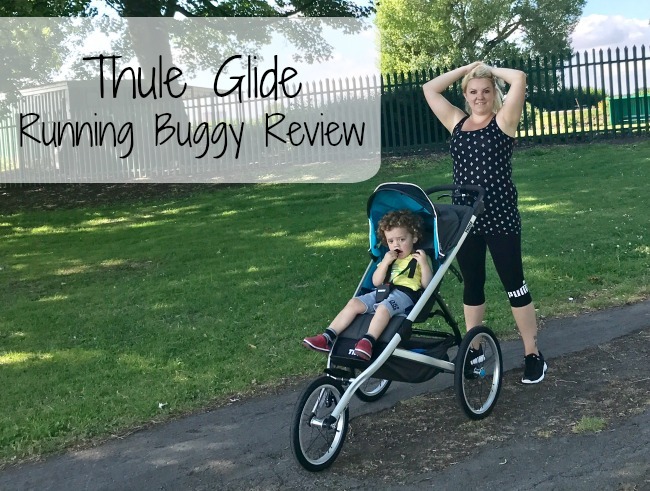 That's why, when I was offered the Thule Glide to review, and I checked it out online, it was like my prayers had been answered - a lightweight, aerodynamic and high-performance running buggy with a fixed front wheel - it sounded like a great buggy. The Thule Glide has been designed with parents and children in mind. And I'm here to explain exactly how they do that!